I know I’ve been way from home too long. Talking about my culture has almost become an academic discourse. It’s been 8 years since my last trip to Trinidad. It’s a long flight and expensive for a family of four. Baring my accent, I’ve pretty much acclimatized to British culture. My expressions have become British, recently released how much. Hubby is the figures person and I’m the creative. We balance each other. However, it’s a running joke how irritated he gets about ‘the incorrect use of the word literally’. I keep telling him he should start a support group. Who knew he could be such a stickler for English. Recently we were in the car and a Trini soca tune was playing. I think it’s on his new play list. I can’t remember the song but in the chorus the word ‘bacchanal’ was in the refrain. So, he asked, ‘what does bacchanal mean?’ Before I released what I was doing, I went into one about Greek gods and mythology. 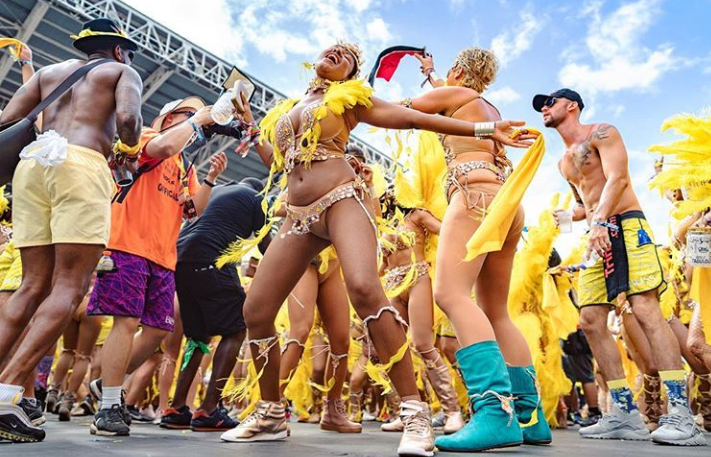 Rather than simply say bacchanal is a word that describes the fun, vibrant borderline wanton celebration of carnival, I went in about Greek god. Yes, I did. Turns out, he’s not familiar with Greek mythology. My explanation about the god Bacchus meant nothing. What a mouthful right? I stopped and redirected my explanation. I said Bacchanal comes from the Bacchus and his wild parties. It requires the way people let going and celebrating carnival. His response… ‘Oh, so it’s an adjective?’ To which I responded, ‘yes, it’s an adjective’. Nerdy, I know. Fact is, it’s also an noun. Music from the Caribbean is rooted in our culture; it’s in the way we move, talk and live, in general. Languages are a beautiful. I sometimes which I could speak another language apart from English. Funny thing is although both Hubby and I speak English as our first language, sometimes our cultural differences collide. We can say the same thing and it refers two different things, or he will not get it or vice versa. We all have our own idiolect. What changes have you noticed in yourself and/or your life after being away from home for year? Comment below.